Cover image via Mormon Channel. Author’s Note: Today’s article is the third in my series based on the book “Joseph Smith and Herbal Medicine” by John Heinerman. It is especially interesting in light of the herbal detox that has been so incredibly helpful for Meridian readers since 2008. CLICK HERE. Happy April! It’s time for General Conference where leaders and members gather by the thousand in beautiful Salt Lake City. As we marvel at the magnificence of the Conference Center, Temple Square and the unsurpassed technology that immediately broadcasts conference across the globe, it’s hard not to go back and try to imagine General Conference in the early days for our Pioneers. Wouldn’t it be incredible to bring back some original Pioneers to see Salt Lake City today and experience Conference with President Nelson? To hand them each a Smart phone and explain how to text and send photos? What a difference texting instructions and warnings to each other along the trail would have been, How incredible it would be for us to have actual photos to document their trials and joys! 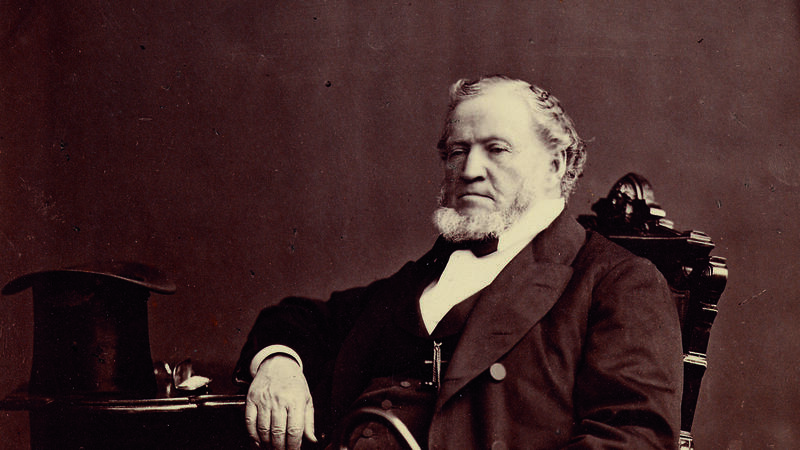 After the death of Joseph Smith in 1844, Brigham Young continued Joseph’s strong counsel to avoid medical doctors, even until shortly before his own death in 1877. The U.S. government had assigned a Missouri doctor, a Dr. Sanderson who hated Mormons with a passion. Dr. Sanderson threatened to cut the throat of any man who would administer any medicine without his orders. His hatred toward Mormons was reciprocally matched by the hate of the Mormon soldiers towards him. President Young made sure that a qualified Mormon botanical doctor, William L. McIntyre, accompanied the soldiers and was appointed with the title “Assistant Surgeon” who was loved and appreciated by the men. As the Saints established themselves the Great Salt Lake Valley, the value of reliance upon faith and herbs for healing was repeated by President Young often, seeming to carry on the great belief Joseph had in botanical medicine. During these years in Salt Lake City a “Council of Health” was established. The Council was headed by Willard Richards, the head botanical physician in Nauvoo who knew and loved the Prophet Joseph, and served him along with his brother Levi. One of the council’s first tasks was to visit the large island in the Great Salt Lake to secure for medical purposes, such saline plants and roots that were needed. Beyond that, they were to seek and to find in the surrounding areas the additional medicinal plants for the cure of diseases incident to the climate. The society was very active and open to men and women, where they would meet and discuss aches, pains and modes of care. Botanical physicians practiced widely in the early Utah years and were most welcome at these meetings and given a seat of authority. The addition of “other remedies” is no doubt reflective of the great advances in medical science during the 1840s, (the last of Joseph’s life, the end of the Nauvoo years and the beginning of the trek west) and through the remainder of Brigham’s life. Modern nursing through the influence of Florence Nightingale, Pasteur’s discoveries in the field of bacteria, and the discovery and use of ether as anesthesia are but a few of the now common medical practices and truths that were then considered astonishing. In 1869, he said “Learn to take proper care of your children… if any of them are sick, the cry now is, instead of Go and fetch the Elders to lay hands upon my child,’ it is Run for a doctor.’ You should go to work and to study and see what you can do for the recovery of your children. Treat the child with prudence and care, with faith and patience, and be careful in not overcharging it with medicine. If you take too much medicine into the system, it is worse than too much food…” Journal of Priddy Meeks, Utah Historical Quarterly, 10:199. In 1872, five years before his death, he called his nephew, Seymour B. Young, to be a doctor and sent him off to New York City to study. He also called other herbalists and druggists to become doctors. They, and even some women who were called, left Utah to become educated in the East, then returned to Utah to practice medicine. At the same time, he was also calling others to carry on and become qualified practitioners in the field of botanical medicine, documenting his standing that faith, herbs and mild food were the primary sources of healing. They, too, were sent back East to study (at the Thomsonian Schools of Botanic Science) then returned to Utah to practice. Did Brother Brigham vacillate until the time of his death on the place of medicine for the Saints? “First of all, he believed in doctors, but only to the extent of fractures, sprains and such, with a surgeon necessary for amputation when they may occur … the real reason is because a good majority of the Mormon people wanted these services for themselves in the territory. On exactly the same premise, he set up the ZCMI organization, so that the saints who were buying their goods from non-members, would now by shopping from Church members and stores of Church members, rather than gentiles, where at least the money would go toward the building up of the Kingdom of God. In the fall of 1875, just two years before his death, he exhorted the Saints again to resort to “mild foods, herbs and medicine you understand.” This seems to indicate that he had not changed his mind, nor ruled out herbal medicine. However, at his own death on August 29, 1877 he was attended by three prominent medical doctors, his nephew Doctor Seymour B. Young and and Doctors Joseph and Denton Benedict. They were able to administer morphine to ease his terrible pain from inflammation of the bowels and what is believed to be his cause of death, peritonitis from a ruptured appendix. My personal testimony is that he was a Prophet indeed, knowing and preaching that our Father In Heaven has provided for man through 1) faith in the Lord Jesus Christ and the gift of healing, 2) nature with herbs and mild foods and 3) science through inspiring brilliant men and women whose life missions are to improve our individual lots. I believe that it is up to each individual to prayerfully exercise faith, follow the Word of Wisdom to the best of one’s understanding, and to prayerfully seek for the best and most appropriate personal health practices, including qualified medical doctors and practitioners. NOTE FROM AUTHOR: These articles are not intended in any way intended to undermine the validity and critical importance of modern day doctors, medicine, science and medical treatments. However, they may inspire you to learn more about the herbal detox health product that has become exceptionally helpful for thousands of Meridian Readers since 2008. CLICK HERE.